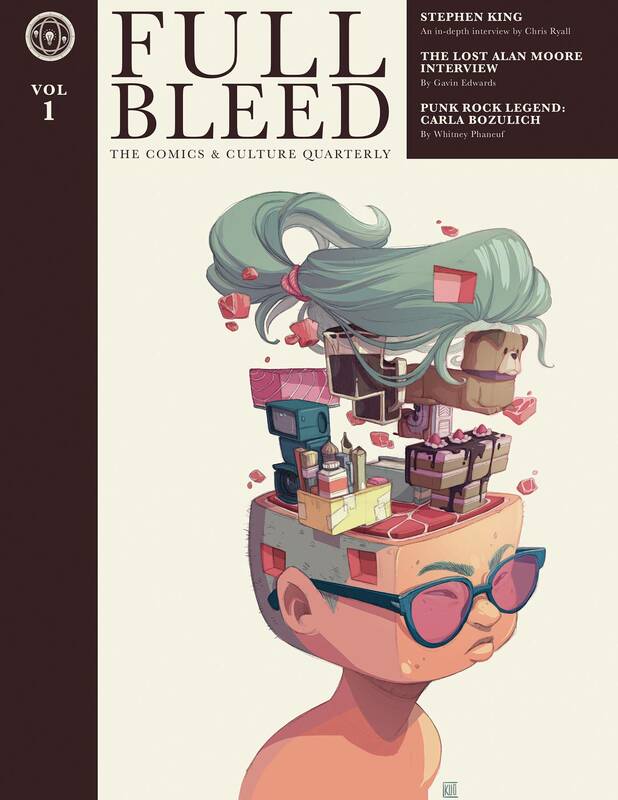 FULL BLEED is a brand-new quarterly, PRINT-ONLY 200-page hardcover 'magazine,' curated and edited by IDW Publishing's Dirk Wood and Ted Adams. 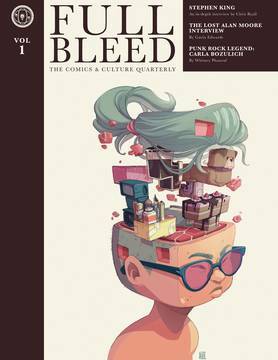 By merging the best in comics, fiction, non-fiction, deep dive interviews, opinion, history, think-pieces and more, FULL BLEED will be a reading experience like no other, and a beautiful artisan addition to any bookshelf. Looking through an international lens, but filtered through the unique perspective of the IDW:PDX satellite office in Portland Oregon, FULL BLEED will tackle all aspects of the creative culture, and beyond - comics, music, film, tv, fine art, photography, design, politics and more. FULL BLEED volume one contains an exclusive interview with Stephen King, a lost and unpublished interview with Alan Moore, a political with spot illustrations by Bob Fingerman, a new short story from Joe Lansdale with spot illustrations by Tim Truman, new comic content from Erin Nations, Kim Dwinell, Craig Yoe, Shannon Wheeler, and much, much, much more!.